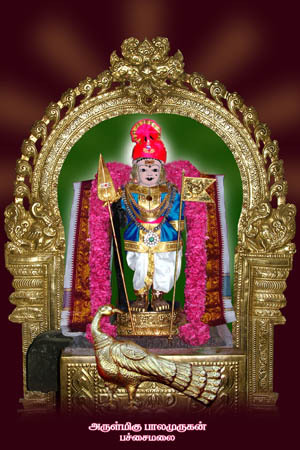 Arulmigu Subramanyaswamy Temple Pachaimalai, Gobichettipalayam, Erode - Contacts, Phone no. hire an auto/taxi to reach Pachaimalai. We thank our donors and pray Arulmigu Balamurugan to bless them! ©2015-16 pachaimalai.in All rights reserved.